Jaime Morales was critically injured after being shot during an altercation in Scott County. GEORGETOWN, KY (WAVE) – One man is dead and an officer is in critical condition following an officer-involved shooting at a rest area in Scott County. Scott County deputies and Georgetown police officers were helping federal agents from the US Marshals apprehend a fugitive from Florida, identified as Edward Reynolds, 57, according to Kentucky State Police. Reynolds was wanted on a warrant for bank robbery. Reynolds was found at the 127 mile marker rest area on Interstate 75 North around 10:15 p.m. on Tuesday. Scott County Georgetown Special Response Team members made contact with Reynolds and shots were fired. Reynolds was pronounced dead at the scene. 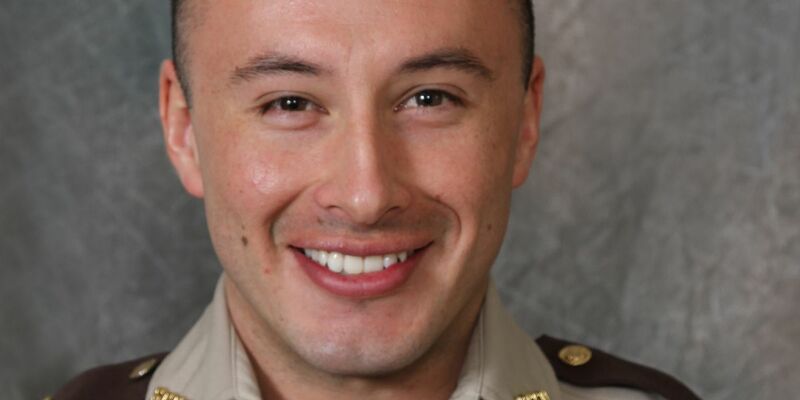 A Scott County deputy, later identified as Jaime Morales, 28, was taken to University of Kentucky Hospital where he was listed in critical condition. According to Sheriff Hampton, this is the first time something like this has happened while he’s been sheriff. When asked what his first thoughts were when he heard one of his deputies had been shot, were of shock. “Oh my God. Yeah,” Sheriff Hampton recalled. The department is taking things one hour at a time. Sheriff Hampton says Scott County is the fastest growing county in the state of Kentucky, and with two major interstates running though the county, he says there is a potential for any type of crime to come through the small, tight nit community. “Law enforcement in general is a dangerous career,” Sheriff Hampton elaborated. " It doesn’t matter how big or how small the community you’re in." Sheriff Hampton told reporters he had gone to see officer Morales in the hospital, where he spoke to him at his bedside. Right now, it’s unclear if officer Morales was able to communicate anything back to Sheriff Hampton. Sheriff Hampton says the outpouring of support for the community has been an incredible thing to see. Sheriff Hampton says Morales was not wearing a body camera at the time of the incident.